How does one capture the essence of a landscape so as to describe it to another who has never been there? The vast majority of us would rely on words and pictures, but how many of us would think of trying to do this strictly with sound? Not music, mind you, but sound. That is the unique perspective & artistry of the field recordist and there are few out there as inquisitive, resourceful, and discerning as Kate Carr. 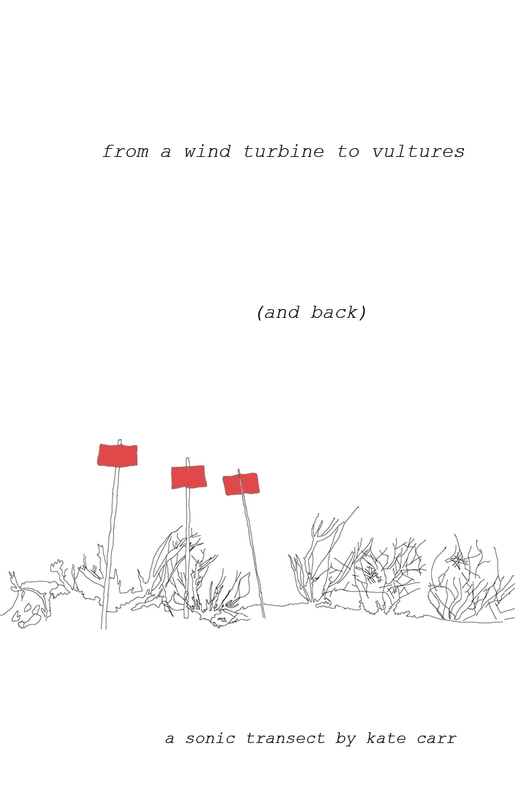 She has steadily built a creative practice around exploring both human and natural geographies.using field recording, experimental composition and sonic mapping. Recently during a residency at Joya: AiR in Velez Blanco in southern Spain, she decided to undertake a sonic transect of the mountain facing the villa where she was staying. 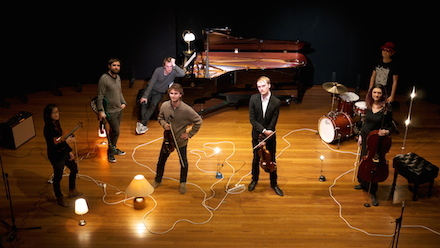 Nonsemble is an indie chamber ensemble from Brisbane, Australia, formed in 2012 by composer Chris Perren. Go Part 3c is a two track EP which provides a tasty preview of “Go Seigen vs. Fujisawa Kuranosuke”, a 30 minute work based on patterns from a 1953 championship game of go, the ancient Japanese board game. The EP, out on Nov 3, and the full length work, out in 2015, will both be released by Bigo & Twigetti. Just as it says in the promo, “the single distills cinematic and classical influences into a patient post-rock-esque build, driven by drums and interweaving strings.”. A nice remix piece by Brisbane sound artist Meeksounds is included to round out the EP so there is a little something here for modern classical, post rock, and electronic music fans alike. Enjoy this one now and keep an eye out for the complete work next year. 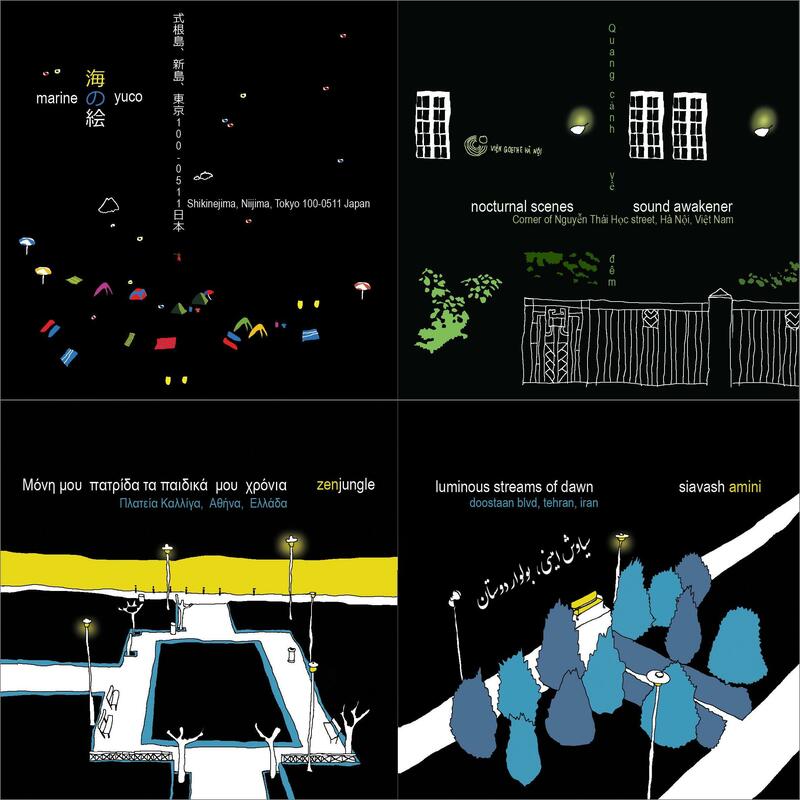 Sound artist, writer, and curator Kate Carr has her new album Fabulations coming out soon on Soft Recordings, a label run by David Teboul (aka Linear Bells) which has put out nothing but gems since it’s inception. The preview track is a sublime confluence of melancholic ambient tones and muted fields recordings. It appears as if the new album will treat to some of her best work yet “investigating the intersections between sound, environmentalism and technology”. A great concept, a beautiful preview track, and the unique attention to detail we can expect from every edition on Time Released Sound make this one to pay attention to. From West Cork, Ireland we have a new album from musician Jonathan Pearson who records as North Side Drive. Snow // Sea // Sky, released on Preserved Sound, is a three track EP featuring solo piano superimposed over evocative electronic soundscapes. New Zealand band Jakob released their long awaited new album Sines this month. The trio delivers a record that brims with gravitas and solid musicianship. The raw power and heaviness are offset by elegant swells of strings and thoughtful atmospherics, rounding it out be one of the most well-received post rock records released this year. Felt Hammers is a collection of collaborations between pianast Dirk Maassen and ambient guitarist An Imaginal Space, who produced and mastered the record. Four of the tracks were chosen from pieces posted by Maassen on Soundcloud as open collaborations and two were specially arranged. The partnership works very well. It is a very pleasant album and a nice launch point for discovering the solo work of both artists. ‘In the Faraway Distance’ is a delightful piece of organic ambient music that was posted this week by Nobuto Suda, a hushed drone sketch adorned with gentle electroacoustic touches. The beautiful artwork that accompanies the track is by Masataka Kurose. Recently featured on the stellar Futuresequence V/A compilation Sequence8, Maiya Hershey continues to put out wonderful unreleased material which makes following her on Soundcloud a joy. The latest is a beautiful piece called ‘At One Time for a Time’. Lucho Ripley has followed up his album Megablast with a steady output of soothing ambient guitar pieces on his Soundcloud channel, a must follow for fans of that genre. The latest piece featured here is ‘Requiem por los Glaciares Extintos’ (Requiem for Extinct Glaciers).